It is natural for those of us who have been camping out these last few weeks to want to go outside and enjoy the nice weather offered by the summer sun. However, sometimes problems arise for us and we can’t take our beloved companions to join in the fun. The only thing we may be able to do is to leave our dog inside of the RV for the day. But is this safe? So, is it safe to leave your dog in an RV? You should NEVER leave your dog alone in the RV, as safe temperatures can’t ever be guaranteed even if you are monitoring them remotely. Powerful storms or other mishaps can lead to a faulty air conditioning system that goes out and causes the RV to heat up pretty fast. The biggest problem you face when leaving your dog alone in the RV is temperature. Leaving any animal alone in an RV is never a good idea, especially if a person has to question whether or not the AC will hold out for their pet. Perhaps the biggest risk a person brings to their dog when leaving them alone is extreme heat and humidity during the day. This can often lead to Heat Stroke. Should anything go amiss while a person is gone, the consequences will be devastating for both dog and owner alike. It is important to note that depending on the breed of dog a person owns, that breed may have more difficulty in heat and humidity than other breeds. Typically, breeds with flat faces such as pugs will have a harder time in heat and humidity. For those dogs who have been left alone in the RV for too long, it is important to look out for the symptoms of heat stroke. If your dog is exhibiting these symptoms, they may only be experiencing a minor form of Heat Stroke. However, it is still imperative to treat the dog. A Temperature over 104 Degrees F.
Unfortunately, a majority of these symptoms may not be exhibited until late in the development of such an issue. It is important to keep a clear eye out for any change in the dog. But what can be done to treat a dog exhibiting these symptoms? Unlike humans, dogs cool down their bodies by sweating through their paws. This is why it is imperative that when placing them in water, special attention is paid to their paws. It is the best way for them to regulate their internal body temperature. If you are unsure if your dog is exhibiting mild or severe symptoms of Heat Stroke, always take them to the Vet first. The Vet can help you in any way they can, and will be able to understand how far along the Heat Stroke has become. Never take chances. Take your dog to the Vet. What if the Weather is Cold Outside? In some cases, we aren’t always camping out in the hot sun. In these cases, we need to make sure that our dogs are staying nice and warm when the temperature gets too low. There are a couple of ways to ensure your dog is happy and warm. Keeping your dog alone in the cold is just as dangerous for them as leaving them alone in the heat. By doing some of these things, you can ensure that your dog will be happy and warm in the camper for the day. As a bonus, buying booties for your dog will keep their paw pads especially safe from any salt or other rough substances that have been laying out on the sidewalk to melt any ice. Plus it will keep your dog extra warm as their paws are a great regulator of temperature. What if it Can’t be Avoided? Obviously, if you have been living on the road for a while, there are going to be times when you can’t exactly avoid leaving your dog in the RV. Especially during the summertime when you are visiting places that are not “Dog-friendly”, or even the grocery store. 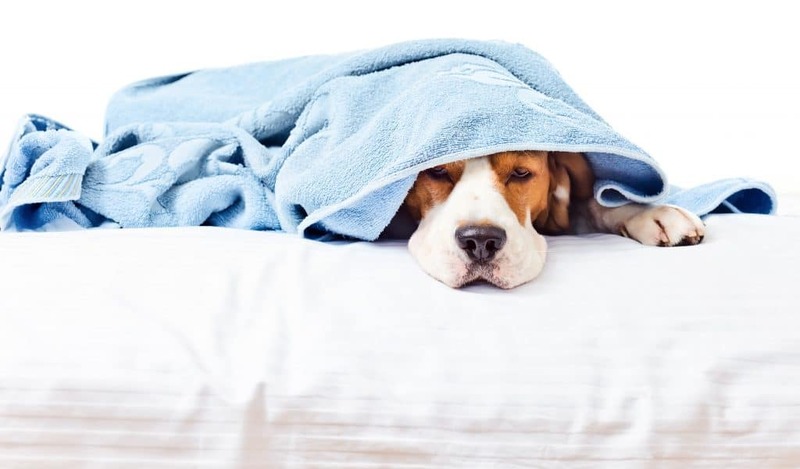 For these cases, there are a few things you can do for your dog to make sure the temperature and humidity are staying low enough for him/her. This is probably one of the better ways you can be notified quickly when the temperature in your RV starts to rise. 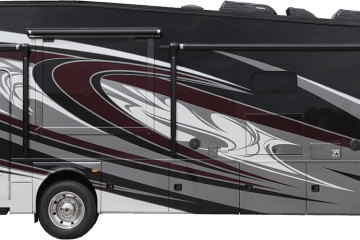 Remote Sensors allow a person to monitor the temperature inside of the RV without wires. Using a product such as the SensorPush, a person can either use Bluetooth or WiFi to connect the monitor to their phone and get a notification if something should happen to the temp. inside of the RV. One perk of this idea is that depending on what a person buys, they can sometimes use the device to turn on a generator should the power go out and they are not around. However, as a result. they are not always the most reliable as sometimes a person goes too far out of range for the remote to work properly. In times such as this, it is important for campers to equip their RV with a backup generator in case some crazy power outage occurs while they are out. A backup generator should kick in rather quickly, thus keeping the temperatures cool and safe for a dog who has been left on its own. Although, generators tend to be a bit noisy and may bother neighbors. If at all possible, leave a generator as your very last choice before you bring your dog with you. If a person has no other way of monitoring the temperature of their RV and needs to leave for the day or even for a few hours, they should let the office at the Campground know. Chances are, there will be many people who will be happy to check up on the dog for them. A person should leave with their name, number, and location with the office. They should also ask the office to call and notify them of any changes in the dog, or any power problems with the campground itself while they are out. Keep in mind, it is often against the rules to leave a dog unattended in an RV Park no matter the circumstances. The Office Staff may remind you of this. But sometimes. you just can’t avoid the situation. If no one from the campground will come and check on your dog, try to take your dog with you so that you don’t risk upsetting your neighbors. According to the Humane Society of the United States, a simple trick for keeping a dog safe in the heat is by cooling them down both inside and outside. The Humane Society suggests providing the dog in question with a nice, cold treat that is safe for them to eat. They also suggest that a person should give their dog a bath if necessary, and if their dog actually enjoys such a treatment. Remember when giving your dog a bath, pay particular attention to keeping their paws wet. This is how your dog will regulate their temperature and will cool down faster if their paws are wet. Providing a dog with enough cool water will also help to balance out their temperature and keep them well hydrated in extreme temperatures. This is one of the most basic necessities a person can provide their dog when leaving them alone in the RV for the day. How can I Prepare My Dog to be Left in the RV? 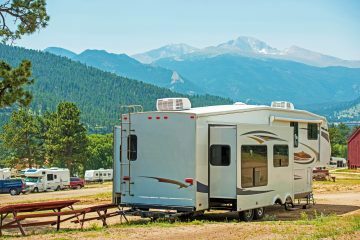 In all seriousness, a person should never leave their unattended in the RV, especially at the campground not only because it is unsafe, but because they often do not like to be away from their owners for extended periods of time. If you feel uncomfortable leaving your dog alone in the RV, take him or her with you, or stay with them. If at all possible, check in on your dog every once in a while to make sure they are staying safe. In fact, at most campgrounds, it is often against the rules to leave a dog “unattended” in an RV. However, in those unavoidable cases where a dog has to be left alone, there are some ways that a person can prepare their dog to be in the RV for a day. Take your Dog for a Walk-In some cases, owners who know that they will be leaving their dog for the day will take their dog for a walk before they leave to tire the dog out. This prevents the owner from getting any calls from the RV Park and from coming back to destruction. Place an Ice Pack with their Bed – Rather than leaving the dog in a kennel where heat can get trapped, it is better to teach the dog to use a bed. In hot temperatures, a bed is simpler to cool down. Simply use an ice pack for the dog to have a nice, cool bed to lay on. 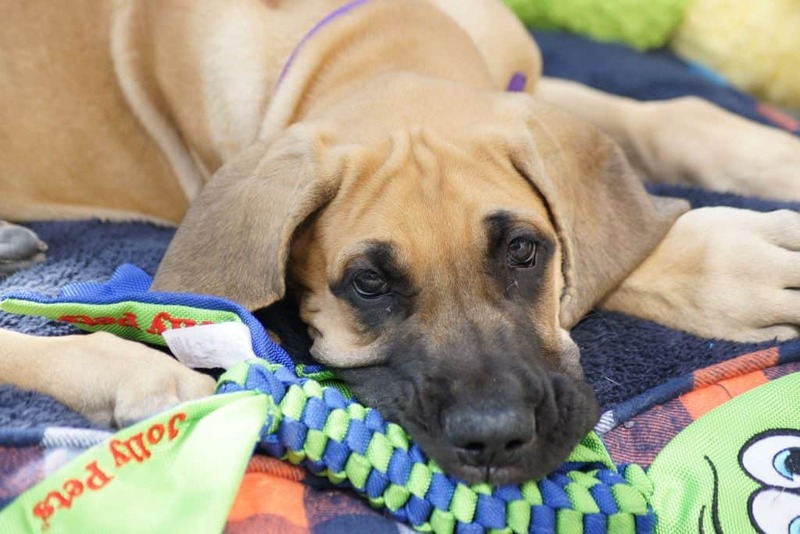 Take them to Doggy Day Care – This is a great alternative to keeping a dog by himself or herself to deal with the heat all day. This also guarantees a dog a way to be social and takes away any fear of sickness that could develop if they had been alone in the RV. This is especially great for dogs with Separation Anxiety. Obviously, the best option for a dog is to not keep them alone in the RV at all. So, if this can be avoided, avoid it! Owners should try to keep their dogs with them as much as possible. Especially if RVing full time. Owners that leave their dogs alone for an extended period of time risk being disciplined by the RV Park itself. Dogs can often be a disruption to other campers by barking excessively and can often tear apart the RV if left alone for too long. This leaves their owner to clean it up later. A dog who has been left alone could also get hurt if he or she is left to his or her own devices in the RV. It is best to avoid this altogether. Remember, if temperatures are not so extreme, your dog should be okay to be left alone for a few hours. But never for an entire day. Once again, if you are a full-time RVer, you should not be leaving your dog alone in the RV at all. However, for those rare occasions when you need to slip out without the dog, there are a few products that can be used to help with the temperature of the RV. Coolin’ Pet Cot – This product is something you can use both inside and outside of the RV. All you need to do once the cot has been properly set up is open the lid on the bottom of the cot and fill it up with water. Your dog should be set for hours. Hurricane Box Fan – The Hurricane Box Fan will be a great addition to your RV and will add extra cooling temperatures for your dog alongside the A/C. This box fan features three separate speeds. Simply set it to whatever speed you see fit to match the temperatures of the day. SensorPush – This product can be connected to your phone or tablet via Bluetooth and Wifi. The SensorPush monitors both temperature and humidity inside the RV, making it easy for a person to detect if the power in the campground has gone out. These products should provide peace of mind of the dog owner who can’t help but leave their dog in the RV for the time being. Some of these products, such as the Pet Cot, may seem pricey for a one-day excursion. But, in the end, paying a little extra may just save your dog’s life if heat and humidity start to rise. Is there a certain temperature that is dangerous for dogs?Honestly, there is no set temperature that dogs can’t handle. But, in general, a person can judge what temperature will be dangerous for their dog if they themselves are uncomfortable sitting in it. If this is the case, take some extra precautions before leaving your dog alone. Can I just leave the windows down for my dog?Absolutely not. This is probably the worst thing you could do for your dog. Keeping the windows down is not going to keep your dog cool enough, especially on and hot and humid day. Leaving a dog inside with the windows down puts your dog at extreme risk for developing heat stroke. Do RV Parks allow Dogs?A wide majority of RV parks do in fact allow dogs. However, before you visit a new RV park, check to see if there are any restricted areas of the Park where dogs are not allowed. Often public areas of the park such as hiking trails may not allow you to bring your dog with you.